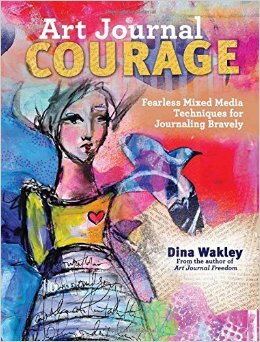 Dina Wakley has just published a new book called Art Journal Courage. I already have Dina’s first book called Art Journal Freedom and I love it so I was excited to be able to get my hands on her second book. I have to say that her new book is pretty amazing. Dina’s book has eight chapters and the artwork throughout the book is just luscious and so inspiring. Whether you are an experienced or beginner in the field of Art Journaling, this book will inspire you just as it has me. Dina even shows you how to make yourself into a stencil. I have been art journaling for a few years and I have kept a diary for as long as I can remember . . . but one of the things I tell myself and everyone else is that “I can’t draw” well Dina covers this very statement in her book and you know what? with the help and step by step directions in her book, I believe that I CAN draw. 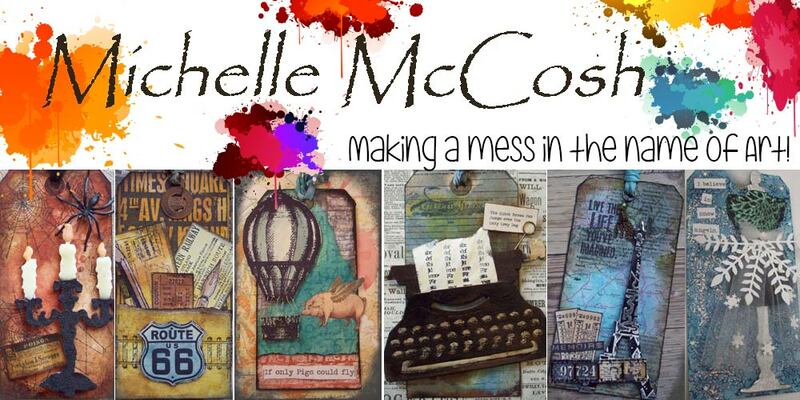 Starting tomorrow I will be practicing. . . .
Buy Art Journal Courage at Everythng Scrapbook & Stamps. There are plenty of Dina’s books in stock. and if you see me at the store with my pencil and my art journal you know what I am doing. This entry was posted in Art Journaling, Rambling by Michelle. Bookmark the permalink.